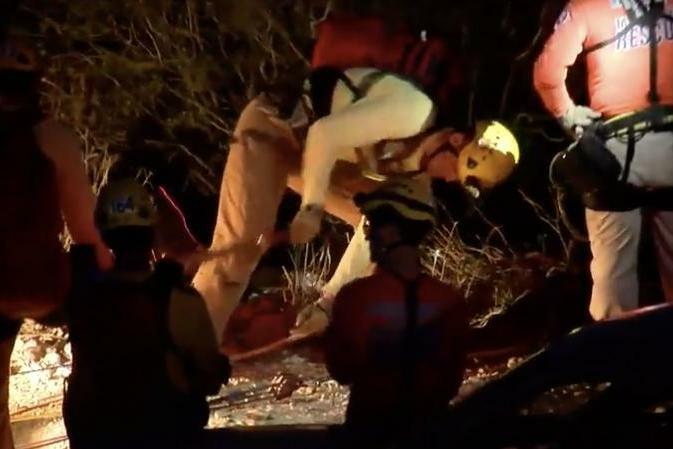 Sheriff's officials in Maricopa County, Ariz., rescued a man two days after he fell down a 100-foot-deep mine shift filled with rattlesnakes, law enforcement said. "The carabiner broke I guess, and he supposedly fell 40 to 50 feet," his friend, Terry Shrader, told KNXV-TV. Waddell told Shrader he was going down into the mine and asked him to check on him if he didn't hear from him by Tuesday.